I rented Big Blue from Lazy Days for nine days at end of November 2018. The main reason was to “try before I buy” as I intend purchasing a VW camper just like Big Blue and I wanted to be sure if the experience of living in one would be agreeable to me before investing my hard earned cash. The experience was positively way beyond my expectations. Dealing with Sue was a great experience itself. It is very evident that both she and her husband Pat are true believers in the camper van lifestyle and gladly share advice, tips and ideas. 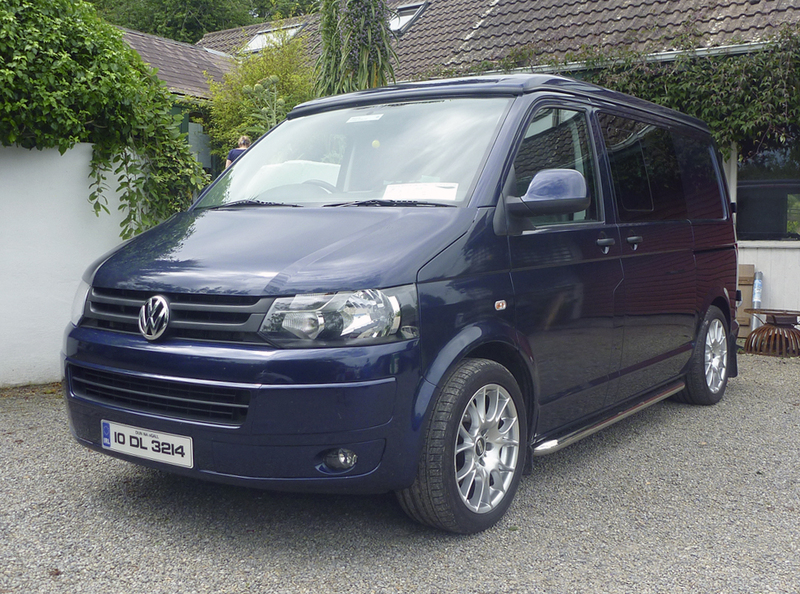 Big Blue is in immaculate condition, driving it is a joy and it is fitted out with all that is required to have a lovely home on wheels. It was my first time to see the inside of a camper and after a very detailed explanation of all the vans workings completed in less than 45 minutes, Sue handed me a set of guide documents along with the keys and I was on my way out the gates of Kernow and heading for the midlands in Ireland. My choice of rental time at the end of November and into December was deliberate. It is easy to enjoy the life on the road in the sunny summer season but what about wet windy and cold winter weather in Ireland? I experienced all three within the nine days. I slept in Big Blue every night. The night heater was brilliant and I was surprised that it uses so little diesel. I see a great advantage with this way of managing a visit to family and friends in Ireland. I parked overnight outside of seven homes of family members and without disturbing their own routines I could visit for a day or two while I also retained my independent living quarters in the camper. On this trip I remained “tethered to houses” but I observed that it would be very easy to select sites for wild camping throughout rural Ireland. On one occasion I had a lovely breakfast at Roundwood House, a Georgian Mansion nearby to Mountrath, County Laois after parking in its grounds overnight (with permission from the owner of course). Upon returning Big Blue to Lazy Days, Sue drove me to the bus stop in Wicklow town to continue my journey to Dublin airport. Thank you Sue and Pat for having Big Blue in such lovely condition for my enjoyment. I will certainly be back to Kernow again. It’s not a long way to Tipperary!